Fair Personal Loans signs a new £1m facility with wholesale lender Shawbrook bank, enabling the business to continue growing. Due to a change in regulation and our rules, Fair Finance is able to issue interest bearing shares for the first time. Fair Personal Loans opens a fully online service first for existing customers then available nationally. Fair Finance receives FCA authorisation for its business and personal lending businesses. More information can be found here. Fair Finance establishes a partnership with Metro Bank to help their clients in financial difficulty with advice, support and an alternative to high cost lenders. Due to huge demand, over £1m is raised to help continue growing Fair Personal Loans. Fair Business Loans launches an online application that allows businesses from all over the country to apply for a loan. Fair Business Loans has now made over £1m in loans to small businesses helping 100 entrepreneurs create over 300 jobs. 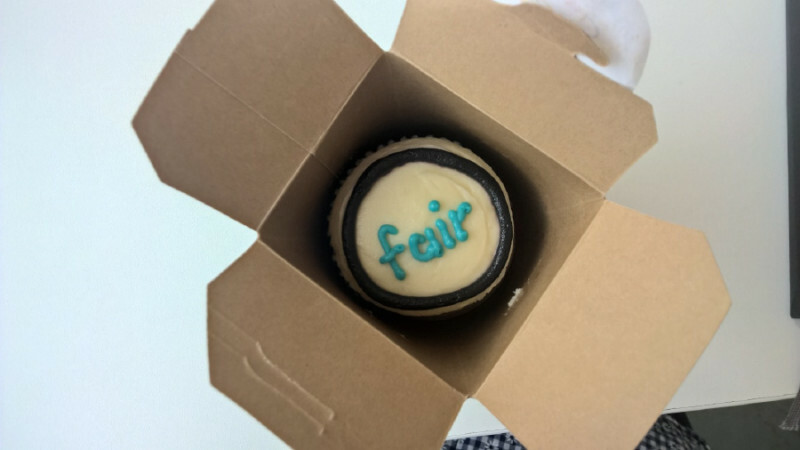 Fair Finance celebrates 10 years having helped 30,000 financially excluded residents across London. Lending over £17m in 15,000 loans, helped 6,000 residents avoid eviction and helped to grow 200 small businesses. Fair Finance wins the Alternative Lender of the Year Award at the Credit Today Award. With judges saying: “proving it's possible to provide an ethical yet commercially viable product for financially disadvantaged people”. More information can be found here. 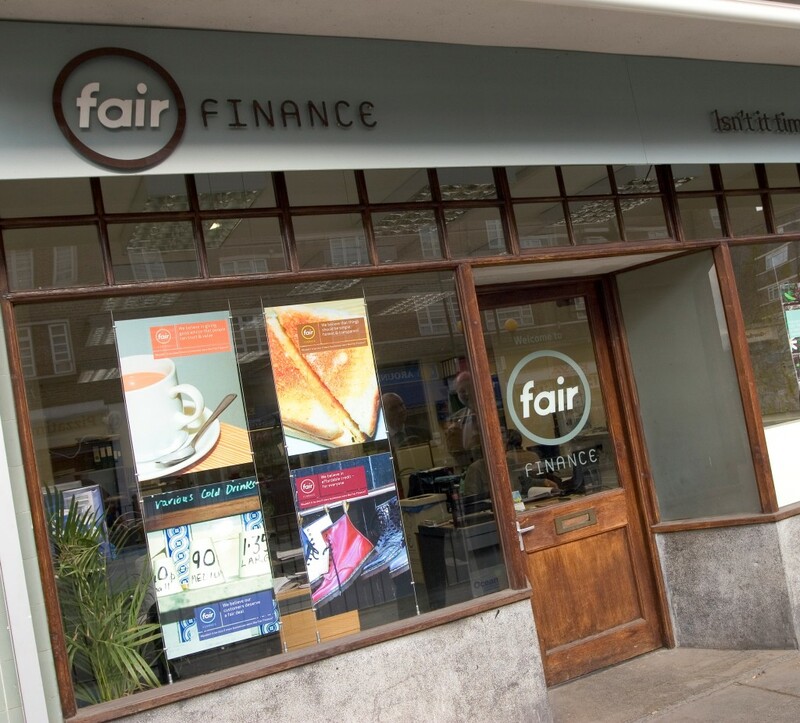 Fair Finance opens a branch in the Elephant and Castle shopping centre, expanding to South London for the first time. 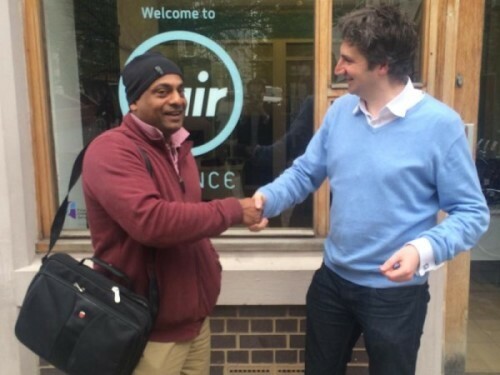 Fair Finance’s founder Faisel Rahman is awarded an OBE for services to Community Finance. You can read more about it here. Yohaan Property Maintenance, a local business providing provides gas and plumbing maintenance to 3 local housing associations. We refinanced him out of a high-cost short term loan to assist his cash flow saving him £1,000 in interest. He has since repaid the loan and been able to access mainstream finance For more information, have a look at our case study. The Prime Minister awards Fair Finance a Big Society Award for its outstanding contribution to the community saying: Britain is in a global race and our small businesses and entrepreneurs are vital to helping us compete and succeed. I’m delighted to be recognising the boost Fair Finance provides with this Big Society Award.” More information can be found on gov.uk. Nobel Peace Prize winner, founder of Grameen Bank and father of microfinance, Mohammed Yunus visits Fair Finance for the day. 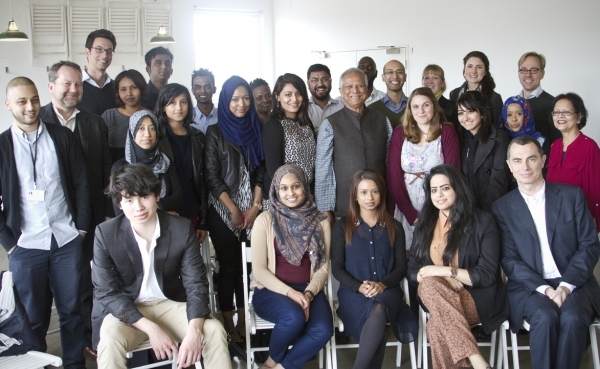 Have a read of our blog post here to see what the team at Fair Finance had to say after meeting Mohammed Yunus. £2m in social investment from individuals, foundations, commercial finance from UniCredit and the European Investment Fund allows Fair Finance to set up a dedicated business lending team and create Fair Business Loans. More details can be found here. Fair Finance is invited to the Public Accounts Committee to give evidence on the effectiveness of Consumer Credit regulations alongside WONGA and Provident Financial. Our testimony evidence and contribute directly to the improving regulations of the payday lending sector. You can read more about it here. Fair Finance makes its 5,000th loan, and opens a fourth branch in Thamesmead, its first in South East London. Fair Finance establishes a key partnership with local community partner Thamesmead Trust to deliver services to some of the most financially excluded residents in London. Click here to see what they've said about us. Fair Finance launches a dedicated charity to manage its work on debt advice and money management with over-indebted clients. The innovative model works with Housing Associations to prove the business case for funding debt advice. 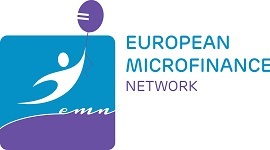 Fair Finance is elected to the Presidency of the European Microfinance Network, the European wide membership body representing microfinance across the region. Fair Finance is involved in shaping European policy, funding structures and supporting the growth of microfinance across Europe. You can find out more about the EMN here. Fair Finance raises £3m of social investment and (crucially) commercial finance for its Personal Lending business. It is the first time a deal like this is completed in the UK microfinance market. Supporters include Santander, BNP Paribas, Societe Generale, Nesta, Panahpur and the Ashoka Support Network. The World Economic Forum recognises Faisel Rahman as a Young Global Leader for his work in creating Fair Finance and reducing financial exclusion in the UK. Fair Finance’s CEO is invited to become a contributing columnist on the issues of financial exclusion. For the next three years the articles brought to attention of the general public the practices of the industry, the stories of the high cost credit users and alternatives to the payday and doorstep sector. The articles are cited by politicians, policy makers and the banking industry and help to drive change. You can find his page here. Fair Finance makes its 1,000th loan and has now helped over 2000 people with financial capability advice. Clients are benefitting from across East London: Tower Hamlets, Hackney, Newham and Waltham Forest. Fair Finance’s debt advice team win backing of the Government’s Financial Inclusion Fund and increase team to serve all of East London. 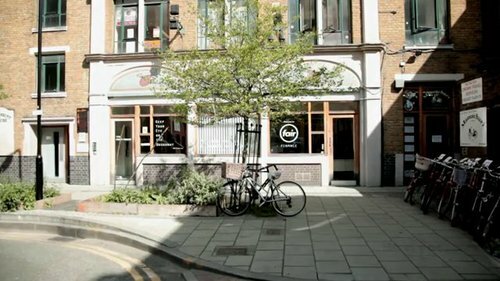 Fair Finance opens its second office in Dalston, Hackney. 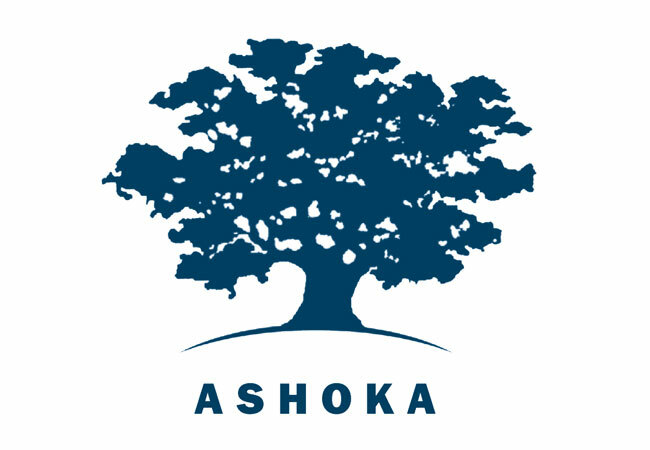 Ashoka, the global network for social entrepreneurs awards one of its first UK Fellowships to Faisel Rahman in recognition of the system changing potential of Fair Finance to reduce financial exclusion in the UK. 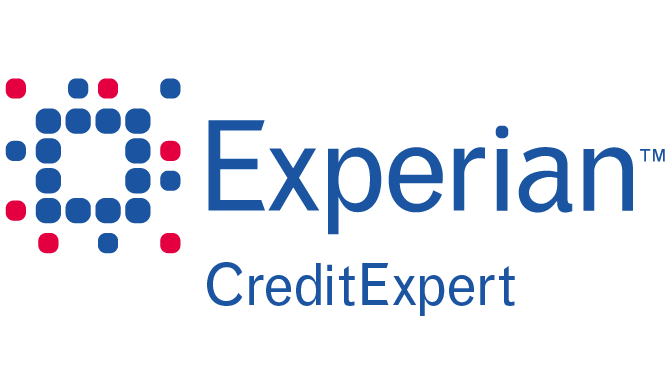 Fair Finance becomes one of the first community finance organisations in the country to start updating client payment histories to Experian. This helps to improve their credit scores and eventually access mainstream finance. Fair Finance becomes the first financial organisation in the UK to commit to transparency by promoting public Lending Disclosure. Initially in annual reports and then online, Fair Finance publishes loan maps with details on where it’s lent and the demographics of its client by race and gender. In partnership with RBS and Barclays, Fair Finance helps unbanked clients into the mainstream by opening accounts in their branches. RBS makes the first bank loan (£20,000) to Fair Finance. A partnership of social, public, commercial and charitable funders come together to back the opening of Fair Finance’s first branch on a council estate in Stepney. Fair Finance launches at the Museum of Docklands Keynote speakers include Anna Bradley of the FSA and Sir Brian Pomory, Chair of the Financial Inclusion Taskforce : “Greater access to affordable credit is vital in tackling financial exclusion. Without access to mainstream financial services, families can become locked into a cycle of poverty and exclusion and are often forced to turn to high cost or even illegal lenders, which can contribute to spiralling debt. Organisations such as Fair Finance are crucial in helping to ensure that the most vulnerable in society are able to take control of their own finances.” (Brian Pomeroy, Chair, Financial Inclusion Task Force). Fair Finance submits its registration with the FSA as an Industrial & Provident Society; signing the first ever set of consumer protections and a community lender with the regulator. Faisel leads a movement with over 70 local community organisations, housing associations and charitable agencies in East London to highlight the issues of financial inclusion locally and look for solutions. The idea for Fair Finance as social business is born. Faisel Rahman joins the Tower Hamlets Environment Trust to develop and lead a 5 year community based project to tackle financial exclusion with Quaker Social Action and Account3. In this phase they developed and expanded the first microfinance program in London, and tested models of debt counselling with local Housing Associations. Over 600 women are lent £250k of microfinance to start businesses and 200 over-indebted residents helped to avoid eviction.